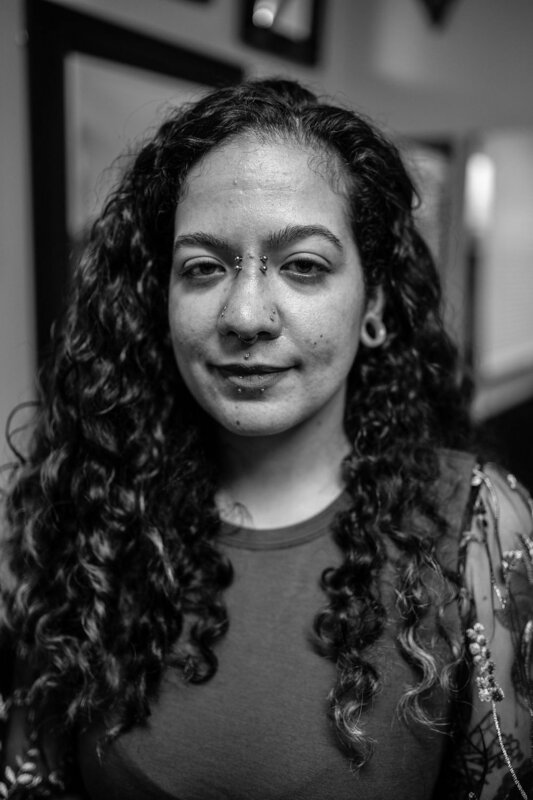 How did you get into piercing and tattoo removal? I get this question all the time. For those of you that don’t know me… I’m Jay Williams and I’ve spent the last decade and a half working in the tattoo industry. I couldn’t stand workin’ for the man, especially the man that made me cover my tattoos, take out my piercings, or cut my long hair. I do understand the need to keep up appearances for certain professions. I’ve never let my love of body art put me in a position to not have a job, but I really hated the discrimination that people who were into tattoos and piercings faced. I was determined to find my place in the world and a job that appreciated me for who I was. It wasn’t easy, but nothing worth having is. 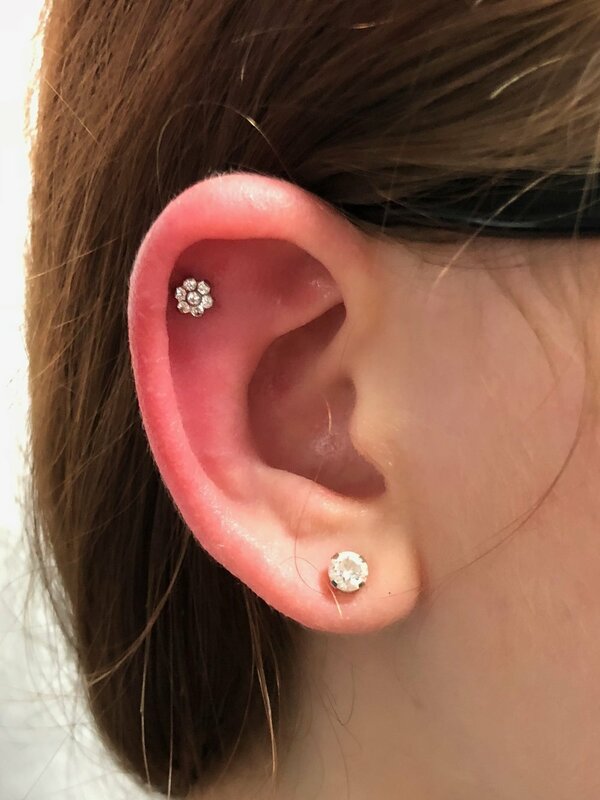 I started out as an apprentice piercer at Dragon Slayer Tattoo in Muncie, Indiana in late 1998/1999. This is where I would make great friends and connections, a chance to learn a new trade, and embark on an adventure of a career. 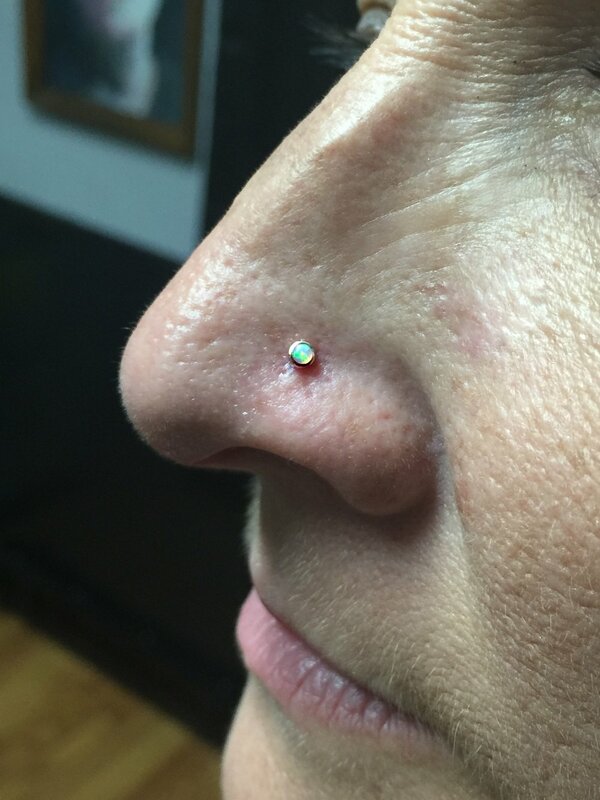 After I finished my apprenticeship I stayed on as a full time piercer for another couple of years before moving on. 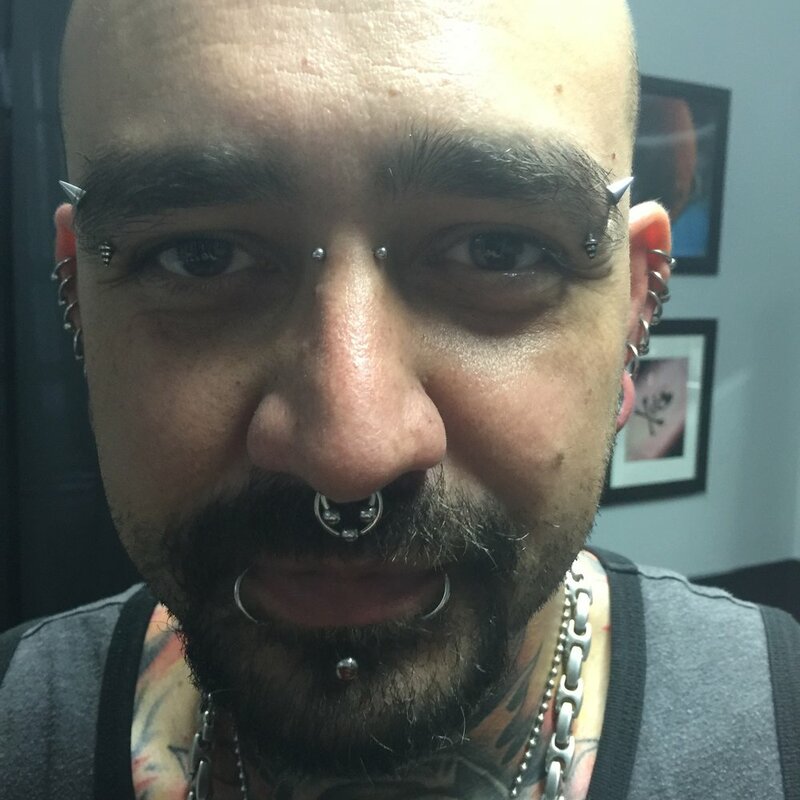 In early 2002 I was approached about taking a head piercing artist position at a new studio being opened by a co-worker. This was a big gamble. Muncie is saturated with tattoo studios, part of the reason I was considering a new job was directly connected to that fact. Our town is nicknamed Middletown, USA, supposedly because it represents the average “small town” in the United States. While it may be considered average, we happen to love our tattoos more than most cities. There are roughly 14 tattoo studios in Muncie, a city of around 80,000 people. There is about a million people in Indianapolis and I counted around 35 tattoo studios. So we are looking at less than a 10th of the people, but at least 40% as many tattoo studios as the big city. I was all in. I figured getting “a real job” (as my mom called it) could wait while I gave it another chance. I ended up working at what would become Lucky Rabbit Tattoo in Muncie for nearly 10 years. During this time, I was also given the title and responsibilities of Studio Manager. I learned a lot in those 10 years and taught some lessons to others as well. In 2011 I left Lucky Rabbit to start my own business – Indiana Laser Tattoo Removal. This was something new I could offer Muncie and I was very excited to take a chance and change directions (for a while). I owned and operated Indiana Laser Tattoo Removal in for 2 years completely by myself. 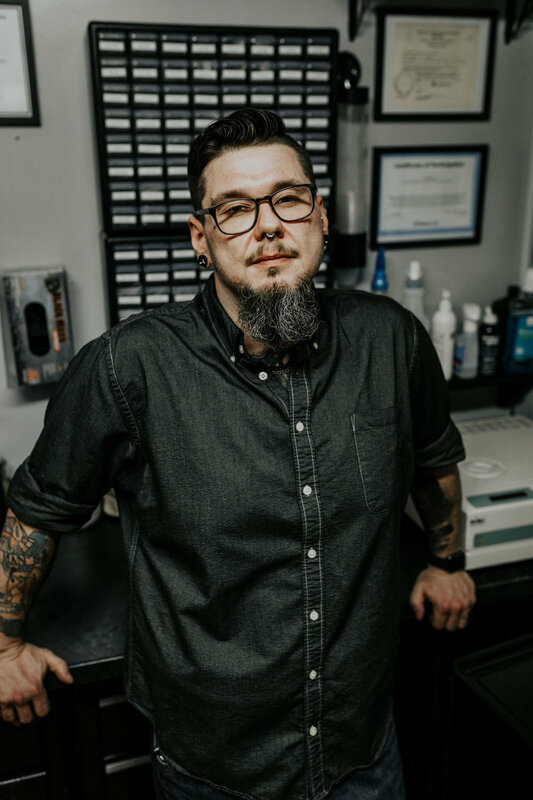 My office for the tattoo removal business was located right next to another up-and-coming Muncie tattoo studio – Black Sword Alliance. 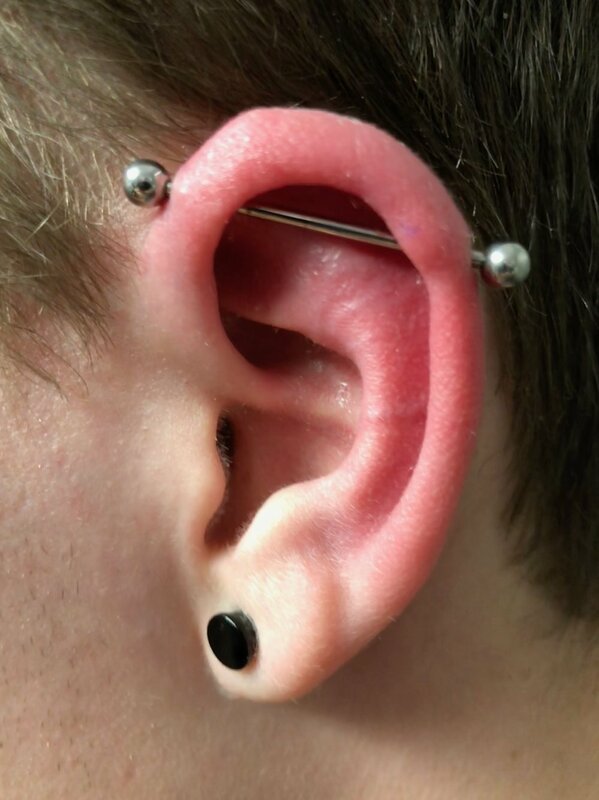 I observed and watched their work and did a few piercings here and there part time and by appointment. 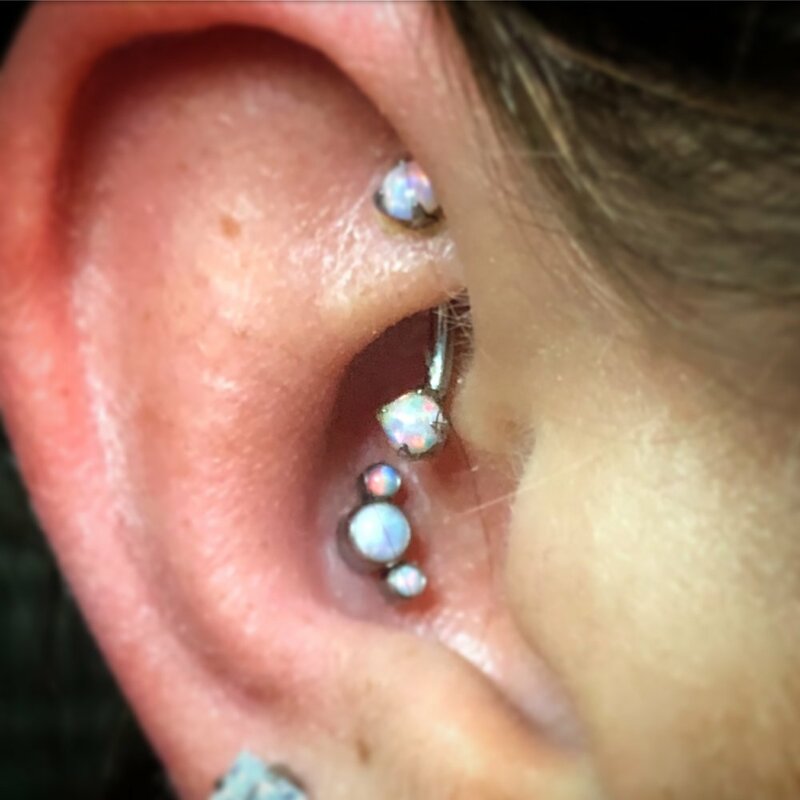 I really liked what I saw and was approached by the owner as taking over as the full-time piercer as well as bring my laser business into the Alliance. It was a win-win situation and this new partnership lets me offer all that I do in one convenient location. In May of 2016 Sean King, the founder of Black Sword Alliance, took some opportunities to further his career in Eugene, Oregon. Sean sold the studio to Joshua, Samantha, Aaron, and myself and we continue to run Black Sword Alliance as a co-op. Sean continues to make regular visits as a guest artist and maintains a strong local clientele. Since day one Black Sword Alliance has focused on legit tattooing and piercing, and this was the main reason I decided to merge my business into the Alliance. If you have any questions please feel free to contact me!